Women in Technical Careers is a scholarship program designed to help female students succeed in a technical degree program at Dunwoody College of Technology and launch into a great career. Most jobs requiring a technical degree are non-traditional for women (defined by federal law as employing fewer than 25 percent women nationwide), despite those same jobs delivering higher median wages, greater job security, and more opportunities for advancement than historically female-dominated jobs. Our mission is to empower women to earn technical degrees from Dunwoody College of Technology and eliminate barriers for women to enter and succeed in technical industries. A scholarship of up to $10,000/year to augment your financial aid package. A childcare stipend of $1,500/year if eligible. Monthly professional development workshops, which will prepare you for a successful career. Targeted advising and academic support, which will help ease your transition to college. Support from the Program Manager and other program participants. Career-focused mentoring program, which will connect you to women working in the industry. *Note: Students enrolled in Dunwoody’s Interior Design program are not eligible for the WITC scholarship. 1.) You can print the PDF below and fill out the application by hand. Apply for WITC (PDF – Paper Application). 2.) You can apply online by filling out the form below. Women in Technical Careers (WITC) is a scholarship program designed to help women students succeed in a technical degree program at Dunwoody and launch into a great career. You must apply and have been accepted to Dunwoody College by May 1, 2019 in order to be considered for the WITC scholarship. FAFSAs must be submitted to the Dunwoody Financial Aid Department as part of your application. This information is needed for reporting to our grant funders. Please check all that apply. If you do not have children, please enter 0. If you are not a parent, please select No. Please include yourself, your spouse (if applicable), and all dependents. If you are currently employed, how many hours per week do you work? What is your hourly wage? Please submit a letter of recommendation. Please upload document in doc, docx, rtf, or pdf format. 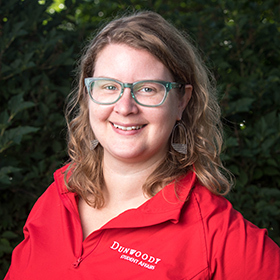 Please submit a one-page, typed essay that describes why you are interested in the Dunwoody program you have chosen and what personal characteristics you have that will help you succeed at Dunwoody. Please upload document in doc, docx, rtf, or pdf format. Please note your application, transcripts, FAFSA, scholarship essay, letter of recommendation, and the scholarship interview must be submitted and/or completed no later than May 1, 2019. Scholarship recipients are selected on the basis of demonstrated need and anticipated success in the program. Work experience, goals and aspirations, challenging personal or family circumstances, strength of letters of reference, and success during the scholarship interview will also be considered. Recipients will be selected from a pool of qualified applicants with consideration given to those who demonstrate the greatest financial need. Not all applicants to the program will be guaranteed acceptance. If selected as a recipient, you will receive up to a $10,000 scholarship award per year in financial aid assistance. Awards are renewable up to two years or until a degree is earned, whichever occurs first, as long at you maintain scholarship eligibility. If you would like more information about Dunwoody College’s Women In Technical Careers program, please fill out the Information Request Form and someone will get back to you as soon as possible. Mentor a student who is looking to pursue the same career field as you.